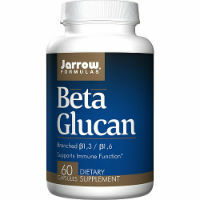 Beta-Glucans Information: What are Beta-Glucans Benefits? Beta-Glucans are types of sugars that are found in a large number of different types of living thing. They are located within the cell walls in yeasts, bacteria, algae, fungi, lichens and even common plants like barley and oats. They have been used as ingredients in various types of natural medicine for several years. When used in supplements and other types of natural product, they can be listed under any of several different alternative names. These can include: B-Glucane d’Avoine, Barley B-Glucan, beta-1,3-D-glucan, 1-3, 1-6-beta glucan, 3/1, 6-D-glucane, 1-3,1-6-bêta-glucane and an number of others. Although beta-glucans are frequently used as ingredients in natural weight loss pills, they can also often be found in products meant for treating diabetes, high cholesterol, certain cancers and even HIV/AIDS. They are also added to some formulas meant for enhancing immune system function in people whose natural defenses have been weakened due to emotional or physical stress, chronic fatigue syndrome, or even chemotherapy or radiation treatments. They are sold in products to help people who have the common cold, the flu (influenza), allergies H1N1, asthma, ear infections, Crohn’s disease, Lyme disease, fibromyalgia, multiple sclerosis, rheumatoid arthritis and even aging in general. People use this substance to help to topically treat bedsores, dermatitis, wrinkles, eczema, radiation burns, diabetic ulcers, burns, wounds and other skin problems. In conventional medicine, it may be injected into a muscle as a part of a cancer treatment for cancer or to boost an HIV/AIDS patient’s immune system. It may also be administered as a part of an infection prevention effort in people after they’ve had surgery. It is believed to work for a range of different purposes by reducing blood cholesterol levels and by decreasing the ability of the stomach and intestines to absorb cholesterol. It is also believed it boost infection-preventing chemicals, thereby strengthening and supporting the body’s natural immune response. Research has suggested that it is likely effective for use in reducing cholesterol in certain people, though research is conflicting. It may also be effective in the treatment of cancer hay fever and post-surgical infection prevention when taken in appropriate doses over a long enough period of time. 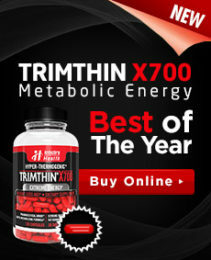 However, when it comes to weight loss, there has yet to be sufficient evidence to suggest that this would be helpful in a supplement or drug. Therefore, while it may be beneficial for certain conditions when taken properly and with a doctor’s guidance, it is unlikely that those conditions will include obesity.